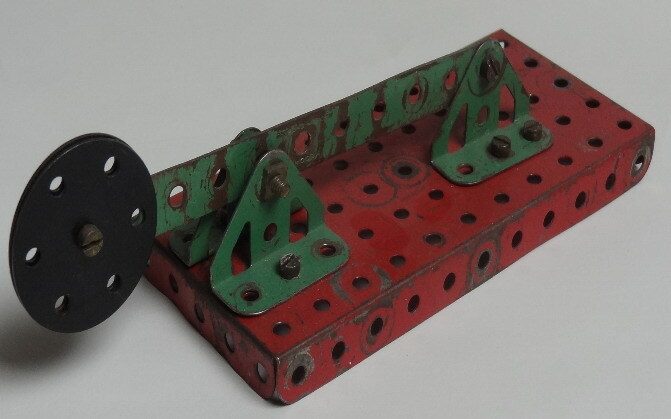 Below is a preliminary study of Remy for a sideswiper made with leftover parts of mecano components. It was the intention to be applied later to the required insulation, and wiring. 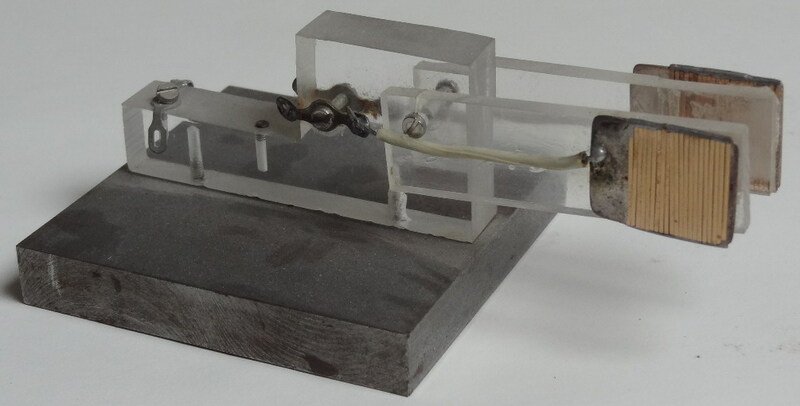 This DIY below was at that time made by me (Remy) and was part of an electronic keyer. Was popular in the '90s because it contained a memory and could regulate the signaling rate. 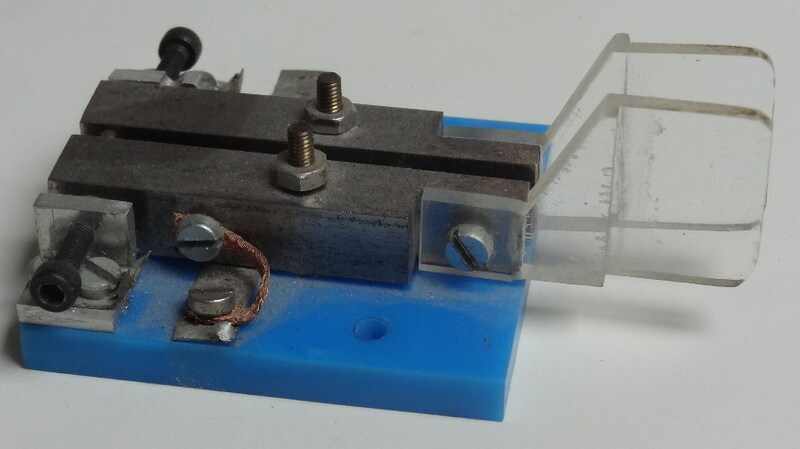 Below is an iambic keyer, paddles are so isolated is homebuilt and was similar keyer as described above. With the screws bottom left and top left is set the 'stroke'. Unclear is the function of the flexible wire? Below is a DIY kit of the DARC and is intended for young people. There is no type number on the IC. (Remy) have created a connector so I can connect other keys to it. The 9 volt battery is the Topcraft brand. If this is intended as a touch-sensitive / capacitive key? Then is the copper trace on the wrong side? 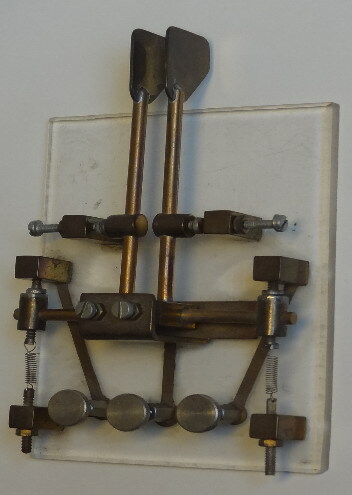 For use as a straight key is on the bottom a wiring or a kind of fork with three tines which printsoor in the middle with the two print tracks on the outsideconnect? to the present electronics needed. But why is than the electronics needed? On closer inspection this is a CW pager with a jack for an headphone I think. IC is supposedly a 555 timer. DIY is what here is clearly visible. No idea who I got this. I never practiced it, said Remy. Good solution to decrease the paddle to avoid a possible construction fault, because not all good available materials? Below is a wonderful DIY Iambic key. The brass "print tracks" are neatly clipped. The creator is unfortunately unknown. Who is the FB artist?